University of Florida Health Jacksonville is a private, not-for-profit hospital affiliated with the University of Florida Health Science Center campuses in Jacksonville and Gainesville. Combining our strengths with the UF College of Medicine–Jacksonville, we offer residents in Northeast Florida and Southeast Georgia all the benefits of an academic health center. The hospital is made up of more than 3,300 employees, all supporting the hospital’s mission to heal, comfort and educate in an environment where exemplary medical care is complemented by outstanding service. UF Health Jacksonville held a beam signing ceremony in May to mark the installation of the final beam in the UF Health North tower expansion. Board members, medical staff, administrators and employees signed the ceremonial beam that will be used in the highest point of the tower. The expansion will increase the number of cancer patients and the types of cancer it is able to treat. The estimated $39 million project will include system upgrades that will improve treatment efficiency and technology. See renderings of the second phase of UF Health North — a 92-bed inpatient hospital. The new building will be built adjacent to the current medical office building that opened in February. 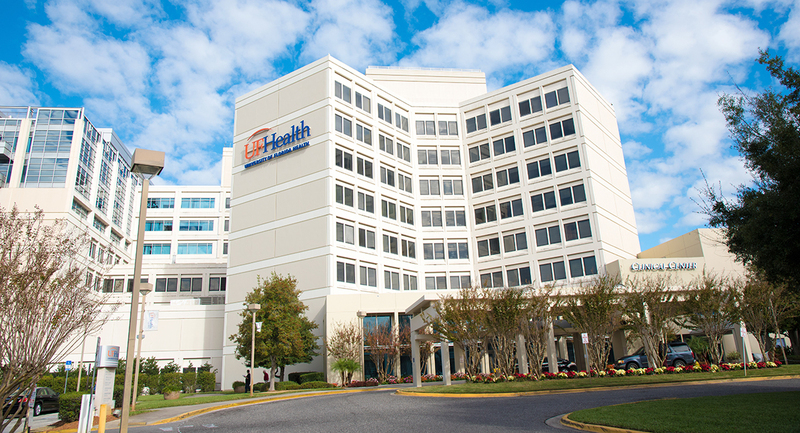 Once construction is complete, UF Health North will be the only hospital in North Jacksonville, creating convenience for residents of northern Duval County, Nassau County and Southeast Georgia. UF Health opened its state-of-the-art medical complex in north Jacksonville on Thursday, Feb. 12, bringing a wide range of services to the residents of northern Duval County, Nassau County and Southeast Georgia.